Guitar Cases are essential to keep your Instrument safe and protected on the move. 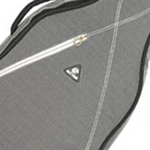 AC-RGS3E Ritter 3 series 15mm thick padded Classical Guitar bag to fit most full size Electric Guitars. AC-STB-1 C3 Lightweight, convenient transportation for your 3/4 classical guitar, with shoulder straps and extra pockets for books. 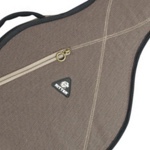 AC-RGS3C Ritter 3 series 15mm thick padded Classical Guitar bag to fit most full size Classical Guitars. 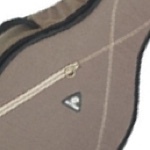 AC-RGS3D Ritter 3 series 15mm thick padded Classical Guitar bag to fit most full size Dreadnaught Shaped Guitars. AC-RGS3F Ritter 3 series 15mm thick padded Classical Guitar bag to fit most full size Folk/Auditorium Shaped Guitars. 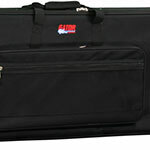 AC-GL-ELEC The Gator Lightweight Electric Guitar Case is perfect for protecting your guitar while travelling. AC-GTSADREAD The Gator ATA acoustic dreadnought guitar case has an outer shell made of nearly indestructible military-grade polyethylene. The cases TSA-approved, impact-resistant, locking latches are ideal for air travel. AC-GK2110 A super padded effects pedal bag, to fit products such as the Boss GT10, Line 6 Floor POD, Vox ToneLab LE and lots more! 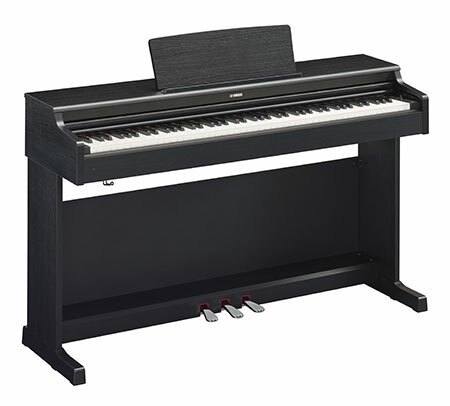 AC-GAT1126 Gator GK76SL Lightweight Keyboard Case for 76 Note instruments. 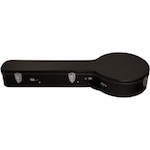 Protect your instrument with this rigid EPS foam wheeled case. AC-TGIBANJOHARDCASE Travel with your 5 string banjo in style with this shaped, leather effect hard case with padded, velvet interior. 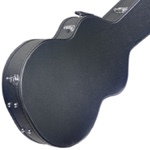 AC-GC-LPS Protect your guitar with this heavy duty ABS guitar case. Made for Gibson or Epiphone Les Paul shaped guitars, and other Les Paul styled models such as the Michael Kelly Patriot Custom. 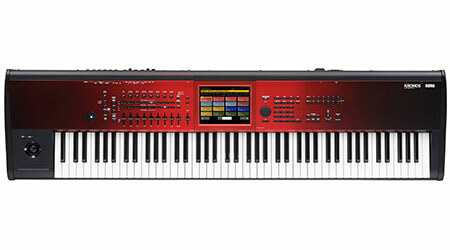 AC-GK76PETSA The Gator GK76PE TSA is an almost indestructable 76 note keyboard hardcase with wheels and adjustable padding. 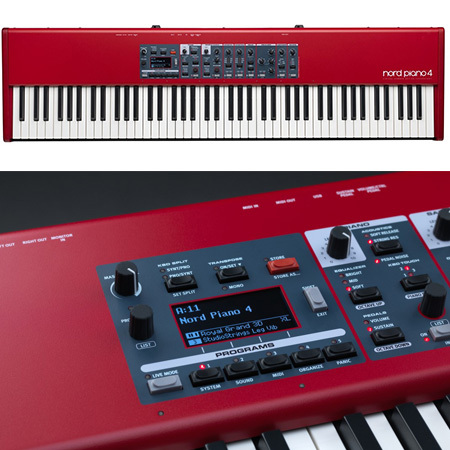 Fits many instruments such as Tyros 4 and Nord Stage pianos. 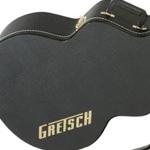 AC-GCA-SA Fits most Jazz Sized Guitars such as the ever popular Gretsch G5420T. AC-G6241FT Solid and extremely well built this case fits most 16" hollow body Gretsch Guitars including the extremely popular G5420T. AC-UBJ2 The Barnes and Mullins UBJ2 Banjo Ukulele Soprano features a maple neck and body alongside a rosewood fingerboard. A great quality Banjo Uke. AC-GPTBLACK The perfect combo for many gigging guitarists - a hard effects pedal board, in a soft lightweight bag! 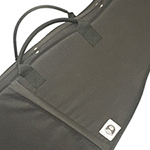 AC-GC-DREAD A seriously heavy duty guitar hardcase, with a durable ABS plastic exterior and aluminium valance, and EPS foam inside to hold your guitar safely in place. 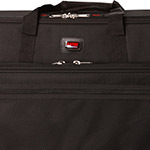 AC-GC-APX Protect your stage guitar with this heavy duty ABS case. Made specifically for the slim Yamaha APX shaped guitars. AC-GC-ELEC-A This heavy duty case is the ideal way to stop your electric guitar coming to any harm, with a durable ABS plastic exterior. AC-GCJUMBO This great Gator case is the perfect way to protect your jumbo guitar, with a durable ABS plastic exterior. AC-GC-BASS This heavy duty Gator case is the ideal way to stop your bass coming to any harm, with a durable ABS plastic exterior. AC-H64VB Protect your beloved Violin Bass with this hard leather Hofner case. A perfect fit, with metal clasps and locking mechanism. 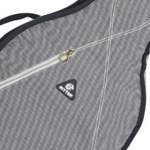 AC-GPGELECTRIC The Gator Progo Electric Deluxe Gig Bag features extremely thick padding, waterproof cover, micro fleece interior and removable backpacks straps for the ultimate in protection. AC-BJ400E Featuring a real Remo banjo head, double edge resonator, inlaid marquetry and professional non-slip machine heads, the Barnes and Mullins BJ400E is an ideal beginner-intermediate level 5 string banjo. Complete with pickup and preamp. GC-335 This great Gator case is the perfect way to protect your Epiphone Dot 335, with a durable ABS plastic exterior, and EPS foam interior. AC-BJ304 4 String tenor banjo with 19 frets. 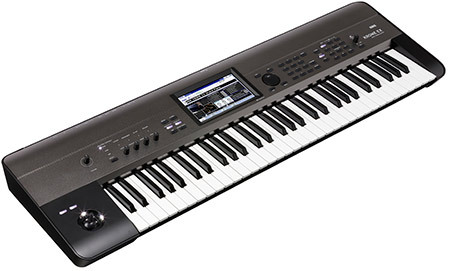 AC-GK76 Gator GK76 Lightweight Keyboard Case for 76 Note instruments. 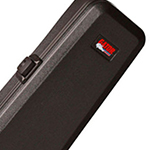 Protect your instrument with this rigid EPS foam wheeled case. We offer a huge variety of padded bags, hard cases and even specifically shaped guitar bags and cases designed for use with more extreme styles of electric guitar.